Every now and then Grammy winning producer, Dean Jones of Dog on Fleas​ conjures up a little ditty of his own. The results are always unexpected and entertaining. One of my favorite things about Dean is the clever quirkiness that pops up in his music. Dean is not afraid to get goofy and creative and lay out the contents of his imagination. Life is more interesting that way, as is listening to music. 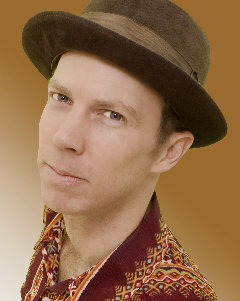 Check out “Town Town” by Dean Jones. You’ll want to watch this one twice. Timothy Sutton (“Timmy”) and Matt Senzatimore (“Matty”) make up the Hudson Valley-based duo, Ratboy Jr. Earlier this week, they relased their third studio album, Hamster Pants, and a video to go with it. For their single, “The Skunk and the Robot,” the guys explore the idea of whether of what might happen is a robot got sprayed by a skunk. Ratboy Jr. specializes in exploring “what if” scenarios that prompt kids to stretch their imaginations in unexpected ways. They’re wacky, which is why we like ’em. And this song is crazy catchy! 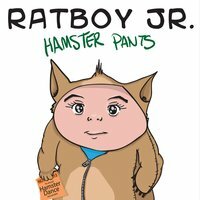 Take a listen to Hamster Pants through the CDBaby widget at Ratboy Jr. official site. 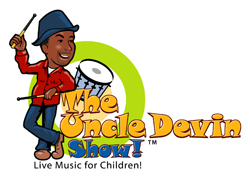 Maryland-based Devin Walker recently released a video for his single, “The Church Usher’s Dance.” Walker is the man behind The Uncle Devin Show, an interactive musical experience which he describes as a cross between Fat Albert and Schoolhouse Rock. I kinda love that description. This video for “The Church Usher’s Dance” is classic in so many ways! Aside from the fact that it reminds me of some of my favorite 80’s hip hop videos (think Run DMC and Slick Rick in terms of sound), there is also a great message in here. Dancing is a great way to express yourself, but it can also be a pretty vulnerable way. As Walker teaches us a new dance thanks to 8-year-old Tre, he also reminds us that when you’re true to yourself anything is possible. Right on! “The Church Usher’s Dance” is a single from Uncle Devin’s upcoming album, Be Yourself. Starting on June 4, 2015, it will only be available digitally. You can download four different versions i.e. 1) Short Version, 2) Extended Family Version, 3) Instrumental Version and 4) The March through iTunes, CDBaby, Amazon and Google Music store. Alison Faith Levy is a rock star! She has had a prolific music career in both the kids and adult genres, touring national stages with each band she has been in. 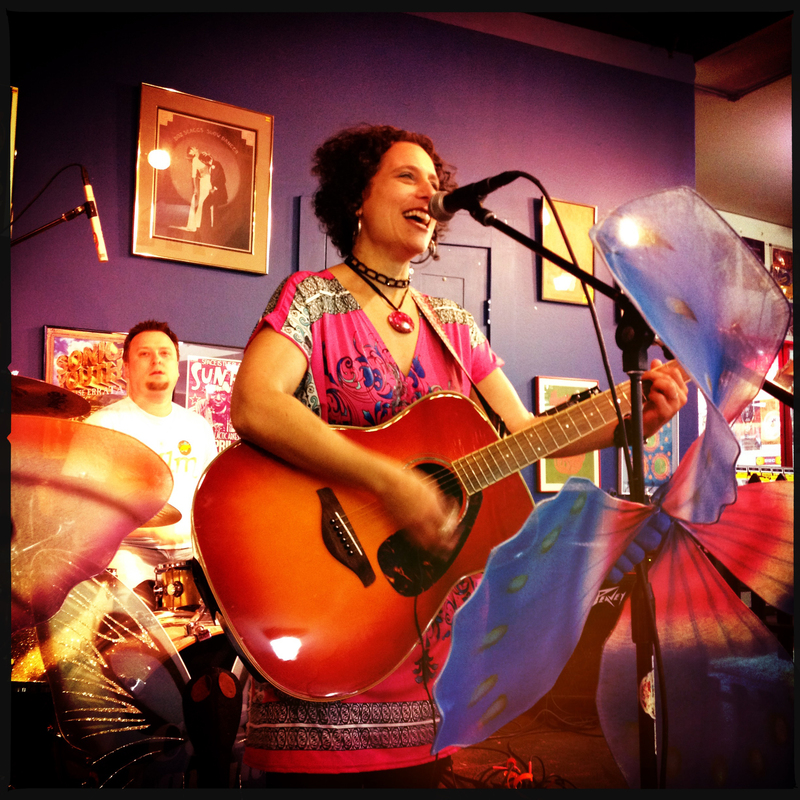 Alison first entered the kids’ music scene with the Bay Area band, The Sippy Cups, a kids’ rock band filled with sounds that harken back to the 60’s and 70’s. Recently, Alison released her second solo album, The Start of Things, which showcases her powerful voice and songwriting skills. Many of the songs encourage self-expression and empower kids to reach for their dreams. It’s a wonderful record, and I love how it feels as though Alison is sharing pieces of wisdom and whimsy from her own personal experiences. The Start of Things brings us closer to Alison as a musician and a person, striving to bring the best out of herself and others. 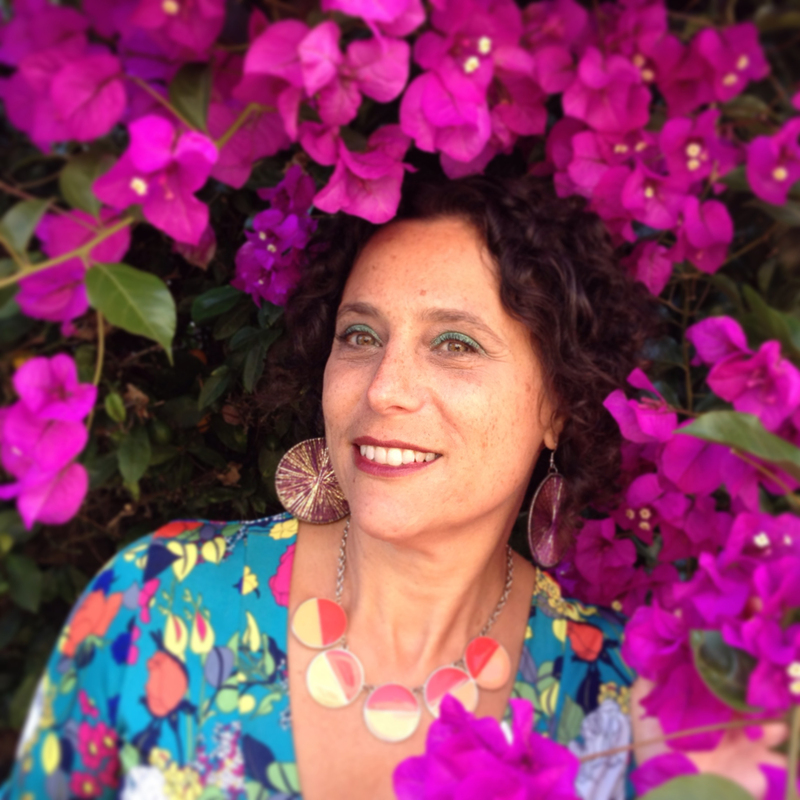 If you can imagine classic rock icons like Grace Slick from Jefferson Airplane or Carole King singing for kids then you’ve got some insight into the soulful sounds of Alison Faith Levy. I have come across many women who rock in the Kindie genre, who are also moms, and their ability to find a balance between work and home life has always inspired me. Alison is one of those rockin’ mamas. She also happens to have a 13-year-old son who has already been in the press, including NPR, for his artistic talent. In the interview below, Alison graciously offers some insight into her time as a touring musician with her adult band and then with her Kindie band, The Sippy Cups), how family has influenced and inspired her, and what’s next on the horizon – including the production of her play. KCG: You have had a long career in music, what are some significant things that stick out from your career as a woman in music throughout the years? AFL: I spent most of my early career in music being the only woman in the band. I actually enjoyed that, since from a very early age I felt like I could really talk music so much more with the guys, and that the girls I knew didn’t really want to dig that deep and “geek out” with me in quite that way. Of course, now I have so many amazing women friends who are musicians and music lovers who can geek out with the best of them, and I’ve played with some really awesome women in bands. It just took me a long time to find them! AFL: I have been playing in bands since I was in college. I was in two or three little indie bands before I started making solo albums – very piano/singer-songwriter/chanteuse kind of stuff. As I was working on my solo career and starting to play more shows, I was asked to join The Loud Family, a band I was a huge fan of already. I made two albums with them, and we did two national tours, which was amazing. After the second tour, my husband and I decided to have a baby, and so I took some time off from music to be a mom. AFL: After I had my son Henry, I wasn’t sure what my next move would be in regards to music. I was enjoying the breather, and not really knowing. Henry and I started taking Music Together classes with Paul Godwin, who said he really wanted to start a cool psychedelic rock band for kids called The Sippy Cups. I was like “I am all about that!” And the rest is history! AFL: After being in the Loud Family, which had a very definite bandleader/songwriter (Scott Miller), I came into the Sippy Cups which was a bit more open and just developing their identity. Originally we just played covers (Beatles, Pink Floyd, T. Rex) and at some point I came in with a song I had written, Magic Toast, and from then on we started writing our own songs. It was very collaborative as a project, which was so cool. We were really building something big and unique together – both musically and theatrically – and it took off so quickly! After several years of touring and working together, we all needed to spend more time with our families so we agreed to take an extended hiatus. I wasn’t sure if I would continue with kids’ music, as I had already started my new “grown-up” band, McCabe and Mrs. Miller, with my friend Victor Krummenacher of Camper Van Beethoven. We toured with Cracker, and opened for Rosanne Cash – it was going pretty well. But I missed playing for the kids, and started writing kids’ songs again. I remember a very emotional conversation with my wonderful friend Charity Kahn, where I expressed my anxiety about jumping back into the children’s music world after The Sippy Cups, and wondering if people would respond to me as a solo artist. She was instrumental in building my confidence and making me feel like it would be okay. She convinced me that if I felt strongly that I still had something to say with children’s music, then I should say it. I’m so glad I listened to her! AFL: When I released World of Wonder in 2012, I was just getting back into playing music for kids again, and was still figuring out my identity as a solo artist. With this new album – I have been playing shows with my Big Time Tot Rock band for a few years now, as well as teaching music to preschoolers, so I feel very comfortable with my place in the genre of children’s music. I know so much more what I want to say, and what kids relate to, and what kind of music I want to make. This album really achieves that in a big way. AFL: I have always wanted to make a children’s album that reflects the kind of music I loved as a child – really well-written pop songs, with great arrangements and production, that came from an honest, emotional place. Not necessarily kids’ music, but fully-realized music that crosses the generations. That was my goal with this album – to write great songs from an honest place that expressed my truth, and spoke to kids on their level, too. It’s a tall order, but that was my intention and I’m really happy with how it turned out. There is some silliness too, of course – because you gotta get silly sometimes with kids! AFL: Yes, the song “Little Dreamer” was actually written for the show (World of Wonder: The Musical), but I thought it fit really well into this batch of songs and decided to record it for the album. The musical has been in development for awhile – we’ve taken it so far as a reading with actors, and a feedback session with a theater company that is interested in producing. It takes a long time to get a musical off the ground, though, so I just keep plugging away at it! AFL: The Rainbow Tunnel is actually called The Waldo Tunnel, and runs between the Golden Gate Bridge and Sausalito. It’s a regular old tunnel but has a rainbow painted around the edge of it, which makes it instantly magical! You drive through it to get from San Francisco to Marin – and I have such vivid memories of driving through it as a child, watching the fog dissipate as you crossed over into sunny Marin county. 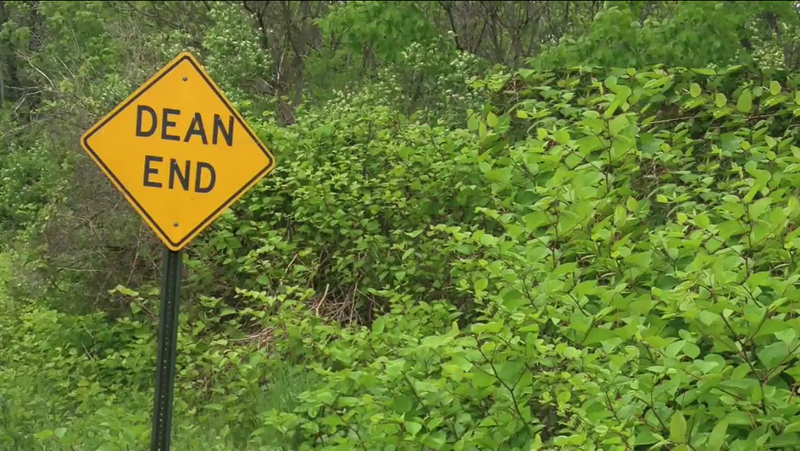 We were driving through it about a year ago and I thought – I should write a song about this! So my producer Allen Clapp and I collaborated on the song, and decided it give it a very Burt Bacharach “Do You Know the Way To San Jose?” kind of vibe. I love the song, and it seems to be a lot of people’s favorite track on the album. The Waldo Tunnel is going to be re-named The Robin Williams Tunnel, which is such a sweet and wonderful thing. AFL: Yes, for sure. When I was in The Sippy Cups, it was extremely challenging and hard on my family. I was traveling a lot, and Henry was only 5 or so years old. And when I wasn’t traveling, my life was 100% Sippy Cups all the time. It was a very hard thing to balance. After that experience, I have been able to set much more realistic goals and boundaries for my solo career, and it has worked out really well for my family. I play shows mostly in the Bay Area, I teach at local preschools, and I make sure to be available and home for my son as much as possible. It has made a huge difference. My family is everything to me – so they always come first. I am just getting ready to do a little touring, which is exciting, but I am going to be very careful and choosy about where and when I travel for work. It has to be worthwhile on all fronts. I am excited, though, to finally have worked my way back to that position of being able to play out of town shows! AFL: When I was in The Sippy Cups, Henry was really little, and pretty much every song I wrote was based on a conversation I had had with him! He was always interested in the weirdest, funniest things, and he really inspired me to see things from that whimsical perspective. Now that he’s 13, and an extremely accomplished musician in his own right, I play new songs I’m working on for him, and get his feedback. He loves to listen to mixes and make comments on the production – he is always spot on. AFL: Henry is definitely on his own path as a musician and an artist. He has always made music, and done his own home recording, and found his own way in his tastes and style. I think that seeing his mom play music professionally, and his dad make films and teach, has given him a feel for what living a creative life can look like. That’s always been important to us, but we never really specifically said “You will be an artist.” He just came by it naturally and organically, which is really nice. AFL: Oh yes, constantly. That’s pretty much all we do. Dissect music and film and television and art and scientific and philosophical ideas. The best times are our drive to school – it takes about 15 minutes to get to his school and we have the deepest, most interesting conversations in the car. Henry loves to talk and question and debate – it’s awesome. AFL: I am proud to have gotten to where I am right now, on my own terms. I really love what I’ve created for myself as an artist, and I feel like the kids and families that I teach and perform for really appreciate and value what I do. I get so much love every single day of my life. Hugs and high fives and little kids shrieking “Teacher Alison!” joyfully when I walk in the door. It’s wonderful. I would like to move into more large scale original theatrical productions for children – really getting the musical off the ground is my biggest priority. To see my show produced in a fully realized theatrical setting with top-notch production values – that would be the ultimate! Other than that, I did kind of start writing a YA thriller, but it’s a daunting task. I work on it every once in awhile, but I have no idea what I’m doing! Whenever I hear even the first few beats of Bob Marley’s music, I feel comforted and just happy. Em has always loved Bob Marley and I still have the t-shirt she regularly wore, from 2 to 3-years-old (until it didn’t fit her anymore), with his face on it. His music appealed to her, and she would let everyone know that he was her favorite. 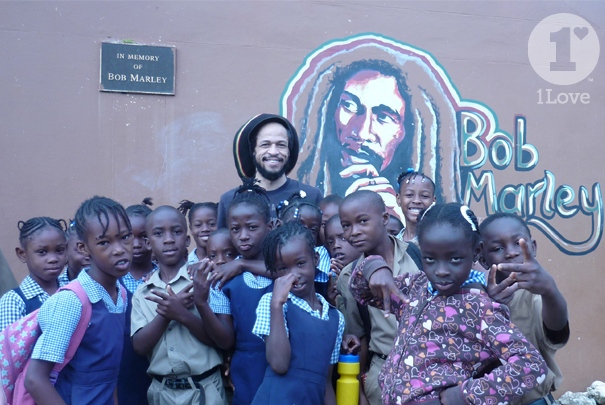 Today’s video is a part of the year-long Bob Marley 70th birthday celebration in 2015. 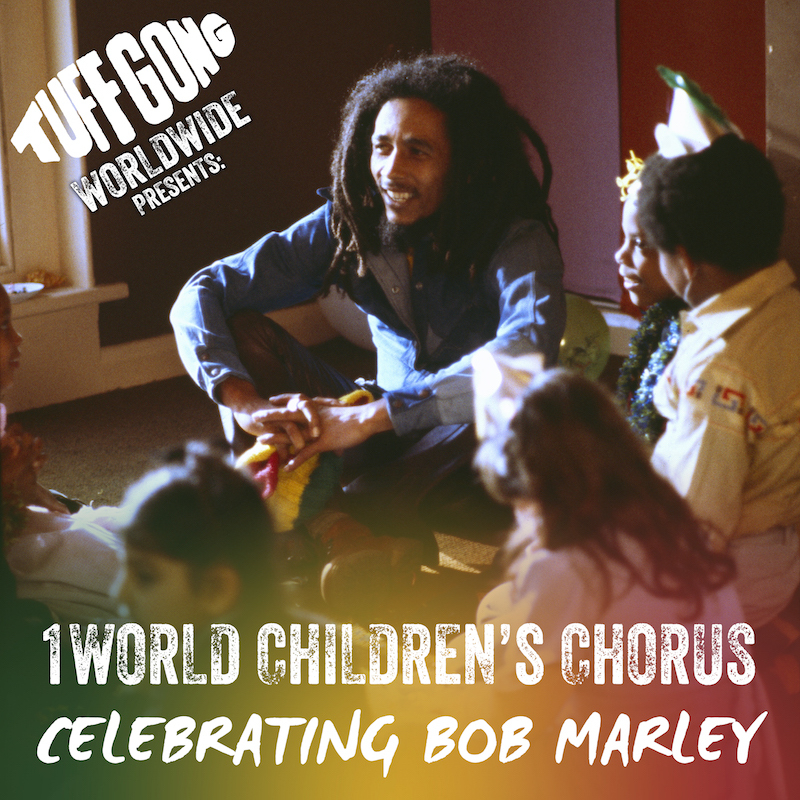 Ziggy Marley‘s Tuff Gong Worldwide has partnered with Aaron Nigel Smith’s One World Chorus to release Celebrating Bob Marley, a tribute featuring some of Bob Marley’s most classic songs. Watching kids from around the U.S., Jamaica, Kenya and Colombia sing “One love, one heart/ Let’s get together and feel alright,” and thinking about the greater message of unity and peace just feels right. Though the kids are world’s away from one another, this music connects them. Pretty powerful, and I imagine Bob would be very proud knowing that his legacy is being carried on in this way. Learn more about Celebrating Bob Marley at Tuff Gong Worldwide where you can also purchase the album. A portion of sales will be used to bring free workshops to participating schools. We love a good game of Freeze Dance, but someone always needs to be the designated “freezer.” Not anymore! “Robot Dance,” a track from The Pop Ups’ Grammy nominated album Appetite for Construction, reinvents this dance party classic and makes sure everybody gets down on the dance floor. For today’s video premiere, the kings of electro-kindie-pop once again enlisted the talent of animator Garrett Davis (“Box of Crayons,” “Subway Train“), who brings this pants splitting discotronic adventure to life. Together these guys are just crushing it! Garrett’s artistic talent and wild imagination masterfully captures The Pop Ups’ vibrant energy and playful spirit. Plus, dancing robots!! Read on to learn more about the collaboration and creative process behind the scenes with Jacob Stein from The Pop Ups and animator Garrett Davis. KCG: What initially appealed to you about Garrett’s work? JS: We’ve been huge fans of Garrett’s work since the very beginning of the Pop Ups. Jason came into the studio one day and said, “Check this out!” It was a video I was already a big fan of called “Song for North America.” It was edgy and hilarious and weird and beautiful, so we reached out to him, and a wonderfull relationship began. We’ve made at least one video per album with Garrett; Subway Train, where he was still working in a hand drawn and photographed animation format, to Box of Crayons where he mixed live action, hand drawn animation and some computer hand drawn stuff. And then Robot Dance, which he drew on the computer and really got to go places in..
KCG: What is it like to work with an animator and create a video versus writing a song? JS: We’ve only really worked with Garrett, but that process has really grown as time has gone on. In the beginning we left him to his own devices, but we’ve finally found a good balance of storyboarding/conceptualizing together, and then setting him free to go places only he can go. We usually go through a set of revisions until we’re all happy. KCG: Can you give us a behind the scenes breakdown of how you approach the making of a video with an animator? JS: Our process usually involves giving him a concept and often a narrative, and Garrett jumps right in. For Robot Dance, he made an animatic, a rough set of black and white drawings that move with the song, to show the flow of the story. We also worked with Garrett to make all of the bits of animation you see throughout our web series. KCG: What do you like best about this video? JS: I love the wildness and feeling of openness. It moves through such a variety of wonderful locations and is filled with huggable robots. 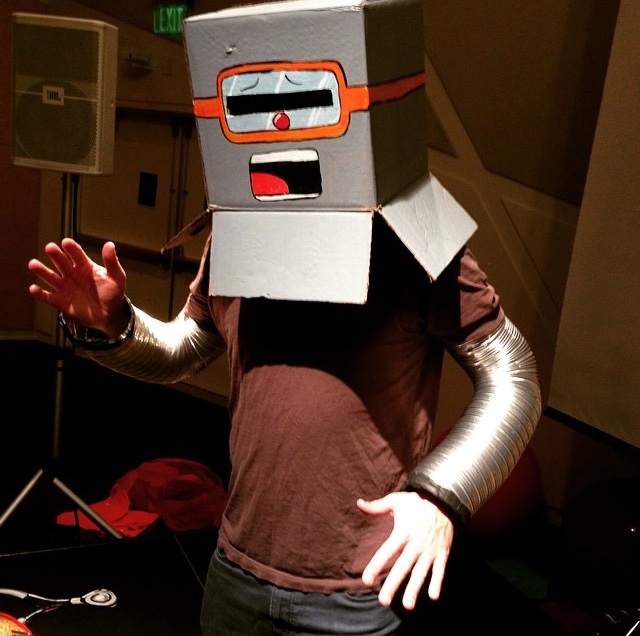 KCG: Who is your favorite robot of all-time? KCG: How would you describe your style? Garrett Davis: I would describe my style as “eclectic.” I bring in any element I like and don’t worry whether or not it “works.” It all comes together in the end and adds up to a richer and more fun visual language or style than if I had pre-defined it. KCG: How do you feel your style fits in with The Pop Ups style? GD: I like to make characters REALLY MOVE in funny ways like kids do intuitively. Kids are naturally ultra-creative so I try to be too. KCG: What was most appealing to you about this project? GD: I liked all the little sounds throughout the song that could be assigned to different characters, like the little gong-hitting robot with the baseball hat, or the tiny robot who drums on his buddy’s knees. KCG: For Robot Dance, did you listen to the song before animating? GD: I listened to the song before, during, and after animating, constantly, over one hundred and fifty nine thousand times per day. KCG: What is your creative process like in terms of how you are inspired to create music videos? For example, does the music influence the art and vice versa? GD: I listen to the music and see in my head what characters and scenes it suggests to me then I just go for it and start drawing. KCG: Can your share a behind the scenes breakdown of how the video came to fruition? GD: I drew a rough storyboard/animatic to show what I was thinking for the video and once that was approved I broke down the time into manageable chunks so I knew how much I had to finish each day in order to complete the video according to our schedule. KCG: What was the balance between self-expression and collaboration? GD: There was a very good balance between self-expression and collaboration. Jacob and Jason had some ideas of their own but were more interested to see how I responded to the song and what ideas I came up with on my own. They are great to work with in that way. 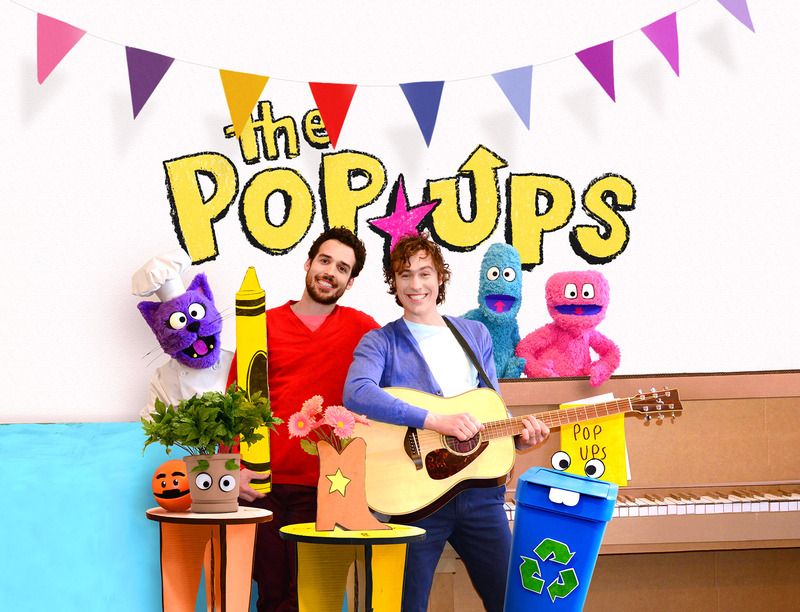 KCG: The Pop Ups are a kids’ music band, did you have to find a balance between your aesthetic and creating something that was kid-friendly? GD: No. My aesthetic is very fluid and I make much use of so-called “chance” in creating. I basically am in a kid-like mindset when I do creative work so it’s naturally kid-friendly I hope. Kids are so spontaneous and hilarious on their own and they live creatively without over-thinking everything, it’s very inspiring. Most kids still have some kind of inherent understanding of the magical nature of life so making things for them is way more fun than making things for adults, who usually go on and on about how things don’t make sense or are arbitrary, etc, etc. If you’ve ever been around young kids you are familiar with what I call “the endless WHY”…no matter how clear something is, there’s always a kid who keeps asking “why” without stopping. And you can only answer that question so many times. It’s nice to just embrace the fact that some things don’t need a logical rationale. KCG: Were you given direction in terms of what elements (besides robots) to include in the video? GD: The Pop Ups had some direction for things that could be in the video, but most of it was just dictated by the song itself. We wondered how we could show pants splitting in a “tasteful” way and I think we solved it pretty ingeniously by just having classic polka dot/heart boxers underneath the trousers. KCG: Most importantly, did you do the robot dance til you split your pants at any point during this process? GD: I ruined many perfectly good pairs of pants to get all the robot dances just right. Please pass along to The Pop Ups that they will be receiving a bill from my tailor shortly. batteryPOP / Zooglobble Kindie Rock Showdown! 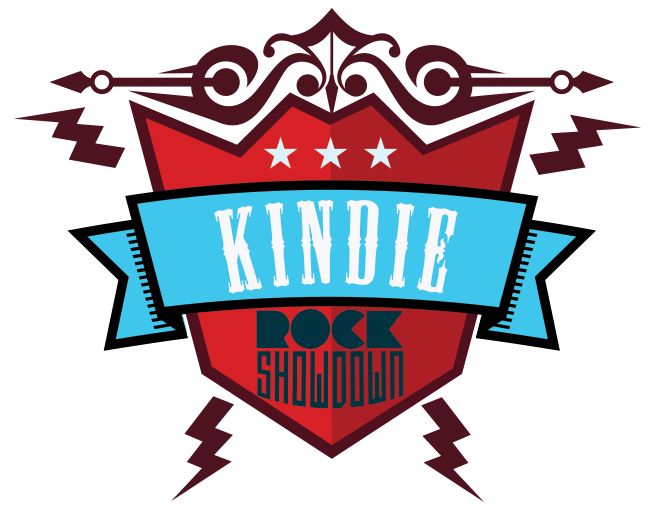 March 11, 2015 marks the start of the Kindie Rock Showdown. Kids’ music blogging veteran, Zooglobble, has teamed up with batteryPOP, a great online resource featuring curated video content for a broad range of ages (preschool up to tweens! ), to present a kids’ music video tournament. batteryPOP was founded by oh just a couple of regular all-star guys from Nickelodeon. BatteryPOP’s mission is to find the highest quality, age-appropriate content that is well, awesome. Sounds pretty right on to me! And so far they have been crazy successful with it. Your kids can find videos, cartoons, blogs for kids, video game walkthroughs, and the best in Kindie music videos. The way batteryPOP works is that if you like a video you a “pop” it which is basically similar to “liking” a song on Pandora, for example. This lets batteryPOP know what you like so you can be served more preferred content. 8 excellent bands will be competing against one another. Week by week, the tournaments will be hosted on batteryPOP’s site with commentary by Laurie Berkner and Stefan Shepherd of Zooglobble. So grab the kiddos and tune in to batteryPOP for this fun competition. And above all, MAKE SURE TO VOTE! Want to get to know the bands? Check ’em out here. While you’re at it, take a little stroll around the batteryPOP site. They’ve really got a nice selection of stuff!